Autonomous drive systems are under development from Mercedes-Benz, Nissan, Tesla, Google, Apple, and others. Today, these systems are nascent but the pace of innovation in this area has never been greater. Even in this early form, you can find examples of automatic braking systems preventing accidents. Tesla's autopilot has only been out a few weeks, it is beta and still has bugs, but it has avoided accidents that the drivers didn't even see coming. 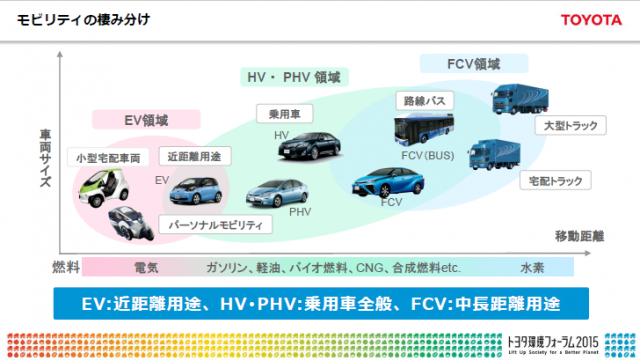 As this technology improves, the cars will gain more abilities. Here is one example of how things will improve. Today, most cars have antilock brakes. In most situations, antilock brakes are the right way to conduct an emergency stop. 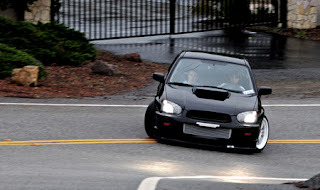 However, there are cases when a side skid would stop shorter. However, today's systems value control and maintaining the vehicle in its lane over absolute stopping distance. Today's simple antilock brake systems have no idea why you are hitting the brakes. They operate the same if you brake because the car in front of you stopped or if a kid runs in front of your car. An autonomous driving system, on the other hand, will have far more information. Soon autonomous driving will arrive at the place where chess is today. Computers may not be better than the best humans in the world, but they're better than 99.9% of the population. And you don't need a supercomputer to run them; even the chess apps you can run on your smartphone are really good. In a simplified view, autonomous driving is just chess plus physics and computers are really good at both of these. Autonomous driving is just chess plus physics and computers are really good at both of these. Professional drivers will take the cars on tracks and preform J-turns, bootleg turns, handbrake turns, drifting, and other get-away stunt driver moves. The telemetry of all of these will be recorded and analyzed. It's unlikely that you'll ever need Dukes of Hazzard or Mach 5 moves to avoid an accident, but it won't be long until autonomous drive systems have complex evasive maneuvers in their bag of tricks. It won't be long until autonomous drive systems will be able to perform J-turns or drifting maneuvers. In very rare cases, these maneuvers could be employed to avoid accidents. 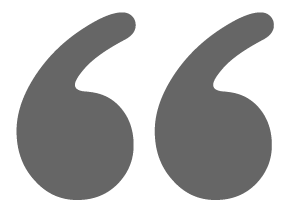 For example, let's say you are in a future fully autonomous drive vehicle. You are coming up to an intersection and your light is green, so your car enters the intersection. Then suddenly you see to your left, headed directly at you, is a driver coming very fast that is running the red light. Because of a building on the corner, you (and the autonomous drive system) could not see this driver coming. A car is now headed directly at you at a high rate of speed. There is a car in front of you that limits your egress. The autonomous drive system accelerates and then turns hard towards the car. What? Towards the car; is it crazy? This maneuver skids the back end away from the oncoming car. Your car then skids to a stop, sideways in the (unoccupied) crosswalk. Collisions were avoided with both the red light running vehicle and the vehicle in front of you. If you were in a driving simulator and could try this scenario over and over, you may eventually come to use this same move, but in a real-life situation, it is unlikely that your spur of the moment decisions would be the one that turns toward an oncoming car. Most people would either rear-end the car in front of them or slam on the brakes and prepare for impact. Kobayashi Maru no win situations are another intriguing aspect of autonomous drive systems, but that will have to wait for another day. As reported earlier, the OReGO program is reporting that my battery Voltage is low. It was low, but I installed a new battery (and terminal connectors) and topped the Voltage off with a smart charger. Despite this, it still reports as low on the OReGO dashboard. You can see in the two images below, that the Voltage is normal. Today, the Azuga program manager for OReGO called me and explained that they found the bug that is causing this problem. 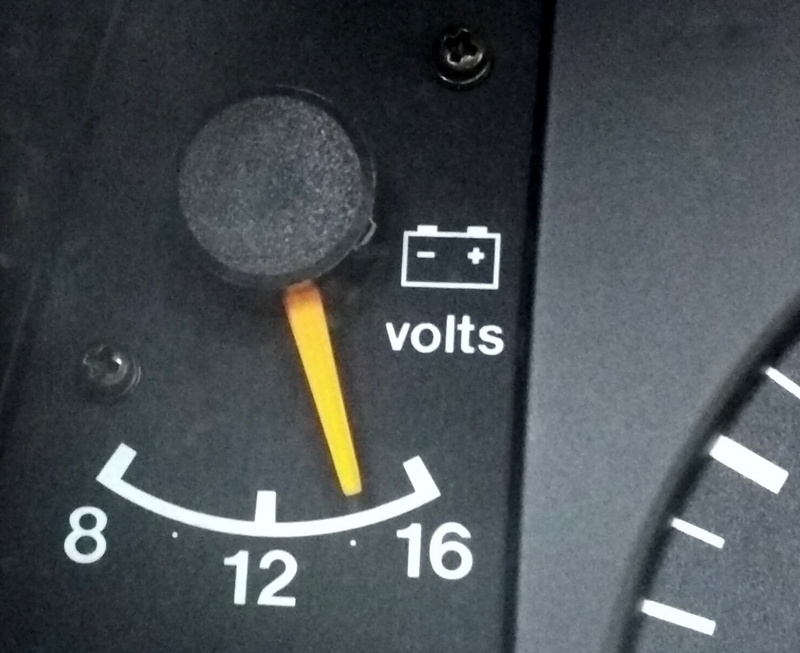 In short, the bug is that the device sends a message when the Voltage is back above 10.5V. If the vehicle is garaged or in an area with poor cellular reception, this message could be lost. If this message is lost, then the Voltage level is not sampled again. They have two fixes for this. First, the short term fix (coming soon). 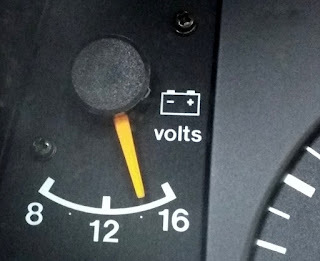 It will work this way: Every time the vehicle is started, any low Voltage state flags will be cleared and the system will return to normal Voltage reporting. 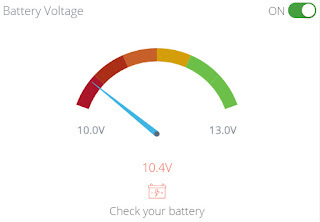 Second, the long term fix (requires more code changes) works this way: battery Voltage levels will be reported along with other telemetry data. These messages require acknowledgement from the receiver or else they are retransmitted (like TCP traffic on the Internet). So there you have it, the mystery of the low battery Voltage is solved (and will soon be fixed). Now all that is left to figure out is the cause of the phantom trips. The Azuga program manager also mentioned that another vehicle in the program was experiencing this issue too. Ironically, the other vehicle is a Nissan LEAF (my daily driver). This is another entry in my journey with the Oregon vehicle mileage program called OReGO. As I reported here, I have been having battery issues since signing up for OReGO. I have also been seeing phantom trips show up in the driving log. I joked that that after your battery dies, your car can become haunted. 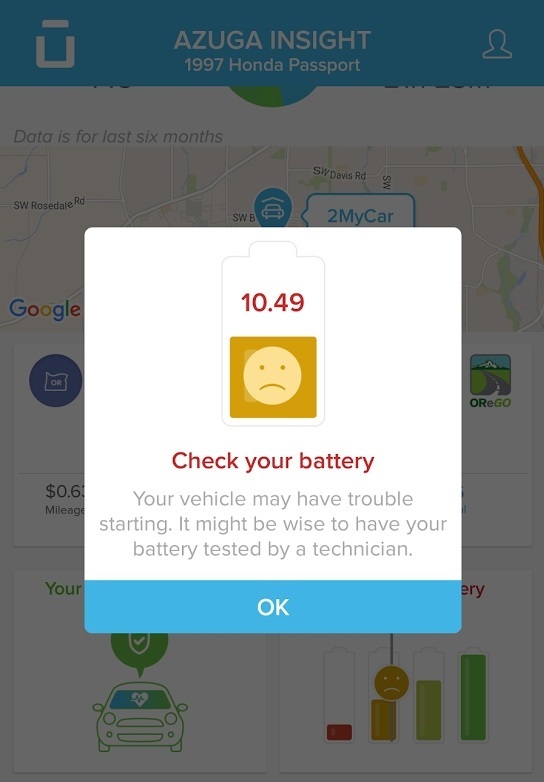 Just before this feature went online, OReGO support called me and said that my battery Voltage was low and that might be the cause of my phantom trips. 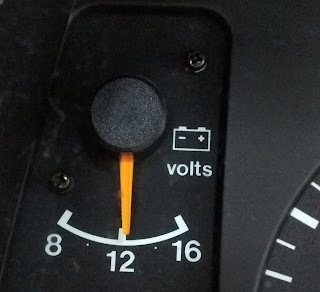 They recommended that I drive or idle the vehicle more often to keep the battery charged. Ironic that they would include idling the vehicle as a suggestion since you lose points in their gamification scoring system when you idle. While, I agree that driving the vehicle more would keep the battery charged, I don't want to drive my gas hog vehicle any more than I need to and I am certainly not going to idle. That is just wasteful. So I did two things, I put a new battery in and put it on a genius battery trickle charger until it was full. However, even after the battery was full, the phantom trips continued to occur. The OReGO site also continues to show that the battery Voltage level is low, even when the charger showed it as full and in the dash Voltage gauge shows ~13V. 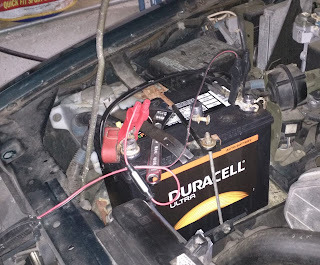 So the saga of the dead battery and the midnight phantom on the Oregon trail will continue. July 19, 2015 - Signing Up - Why? I recently wrote about how my car is taking phantom trip and driving itself around in the middle of the night. Well now there actually is a car that can drive itself. Tesla has released their Autopilot software update. The feature has been covered by the press ad nauseum, you can find videos of journalists and owners letting go of the wheel and freaking out and gushing about the car. And rightfully so, this is a threshold moment in history. 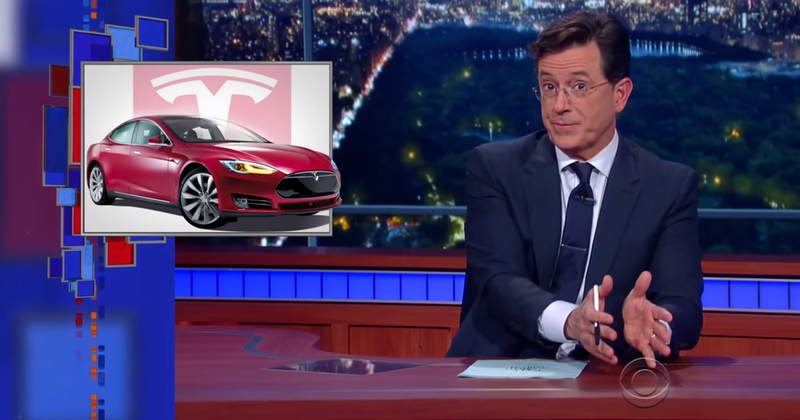 Here is how it was covered on Stephen Colbert's Late Nite television show. The clip highlights how Tesla is not an ordinary car company, they treat the car like a modern connected smart device and deliver over-the-air updates. Just in time for Halloween, my car has apparently become haunted. I guess that can happen after your battery dies, LOL. So why do I say that my car is haunted? As you know, I have a state issued tracking devices in my vehicle. This means that all the trips my car makes are tracked and there are some trips in that log that I did not take. As you can see, just after midnight, the vehicle started to move. Only, I wasn't driving it. <scary> These short phantom trips continued until 4PM the next day. On other days these phantom trips have happened at 3 to 4 AM. Adding up all these up, it would be $0.27 in charges. However, with the fuel tax rebate that is part of the program, these will not amount to much. But what if I were a fleet manager? I'd wonder why people were taking my vehicles up and down the street in the middle of the night and I had to pay fees for it. I wonder if this is just another case of jumpy GPS or maybe I have something like a loose battery terminal cable and it is related to the dead battery issue that I had. 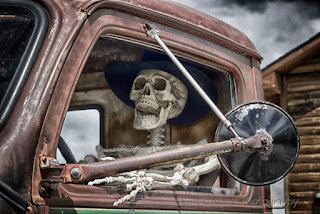 The story of my experience in the Oregon vehicle mileage tax experiment. 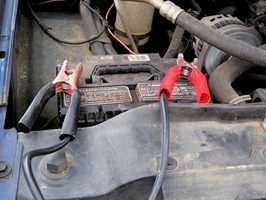 I reported here that I was having some trouble with my car battery since joining the OReGO program. To be fair, this is an old vehicle, I don't drive it much, and the failure could have nothing to do with the hardware they added to my car to track it. However, OReGO did add insult to my injury. After all the hassle of dealing with a vehicle that wouldn't start, paying $105 for a new starter battery, I then received an email from OReGO saying that my device had not been reporting and that I could be charged for "Null Mileage Days". 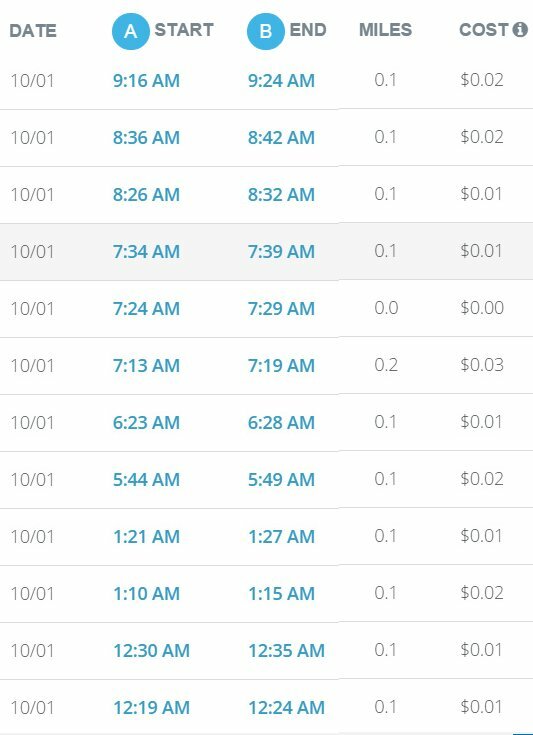 What are "Null Mileage Days" and how much is the charge? Could their device cause my battery to drain and, if so, how could I prevent it? A weeks went by and Azuga didn't respond. I sent a follow up email, three days go by, still no response. I emailed ODOT and told them the story and said that Azuga was not responding. To their credit, ODOT responded on the same day and called Azuga and told them to call me. The Azuga system can store several days worth of data to allow for cases such as underground parking, where it may not get a signal. Even when you don't drive, the device checks in periodically. When the device has not checked in for 10 days, it is assumed that the device is no longer plugged in, or in a "non-reporting state". When this occurs, the owner will be charged a flat rate for these “null mileage days”. The rate is determined by averaging the driving range of the vehicles previous 60 days and multiplying that distance by the road usage fee amount of 1.5 cents. Here is the rub with this statement, normally, the road usage fee is applied and the amount of the gas tax is refunded. They didn't mention anything about refunding the gas tax. That is a follow up question. The ODOT reply went on to make more points. First the null mileage email that I received, might have been in error. Azuga sent out several false null mileage emails in September. They still have glitches to work out. Second, they said that if I am not going to be driving for 30+ days, I could call Azuga and temporarily opt out. However, I don't know when I'll be driving the vehicle next. The camper is stored away for the year and it's at least 2 months until ski season, so it will likely sit, but maybe I'll need to pick up some drywall or something that won't fit in one of the cars. The last point from ODOT was that this the the first report that they have heard about a dead 12V battery, but the program has only been running for 3 months. They don't think the tracking system would be the cause since it is a small load, but they would like to follow up more on that topic after checking with some of the more technical people involved. Maybe I should pull out my multi-meter and make a few measurements. I'll keep you updated as this progresses. What's the best way to get someone to buy an EV? You can talk (or blog) to them about energy independence, torque, polar bears... but the best way is to simply let them drive one. The EV driving experience is wonderful. The cars are smooth and peppy. The first time that you step on the pedal and car moves without the explosive internal combustion rattle we've all become so accustomed to, it feels like magic and the 'EV grin' is the natural response. So how do we get people behind the wheel of an EV? Here is the story of how one dealership is doing it. We have charging stations at my work. Normally, overnight charging is more than enough for my needs and I don't charge at work. However, on a recent Friday, I had appointments in the morning and an offsite team-building activity in the afternoon. This meant that I'd be driving many more miles than I do on a typical workday. I plugged in at 9:30 when I arrived at work. By noon the car was fully charged and it was time to head out for the afternoon activity. As I was unplugging I noticed one of my coworking plugging in a BMW i3 next to me. After our greetings, he asked me if I knew how the charging stations worked. I explained the membership card that you need (charging is not free at my work, but it is a fair, nearly the same as home, price). He was surprised that they were not free and asked if the front desk had a card he could use for the day. I said they did not and I offered to let him use my card today and next week if he needed it. He said that he'd only need it for the day since this was just a loaner while his car was in the shop until tomorrow (Saturday) at the latest. I looked at the car again and saw this message on the rear windshield. BMW of Portland is using range extended i3 vehicles for loaner cars. This is a great idea. The fact that it's a range extended vehicle means that there is no worry about finding a place to plug in. 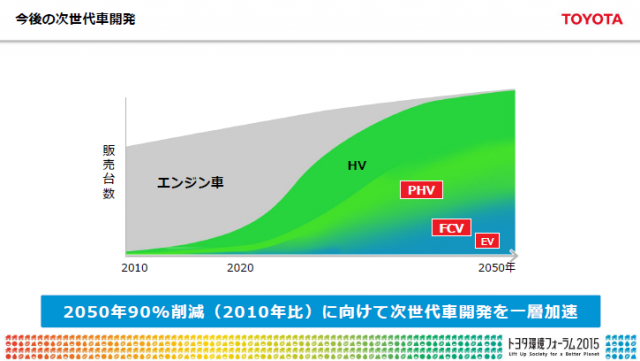 When you are expecting to buy an EV, you've likely prepared for it. You might have a charging station already installed in your garage and you likely have apps like PlugShare to help you find places to plug-in. However, if you are just dropping off your gas car for maintenance and the dealership were to hand you the keys to an EV, you'd likely be unprepared. If the EV had more range than you needed, then there is no problem, but if you need to drive more miles than the range of a full charge, this can be difficult for the uninitiated without charging-provider membership cards and all the tools that EV owners have at their disposal. Given this, I think a plug-in hybrid (call it what you like: PHEV, EREV, REEV, or REx) is the right vehicle for most people to try for their first plug-in vehicle experience. Just make sure it is fully charged when they get it, so they can experience the pure EV mode. 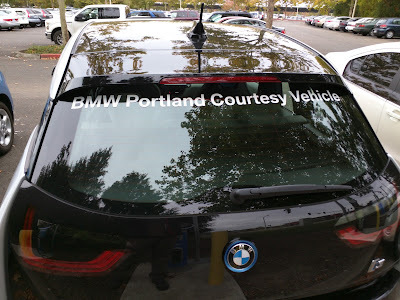 One more thing BMW of Portland (or anyplace using plug-in loaners) could do is include membership cards to all the nearby charging networks. Because as it is, they owe me 32¢ for that charging session.